July | 2012 | hair, there and everywhere! Finally: My Body is in Synergy!!!!!!!! 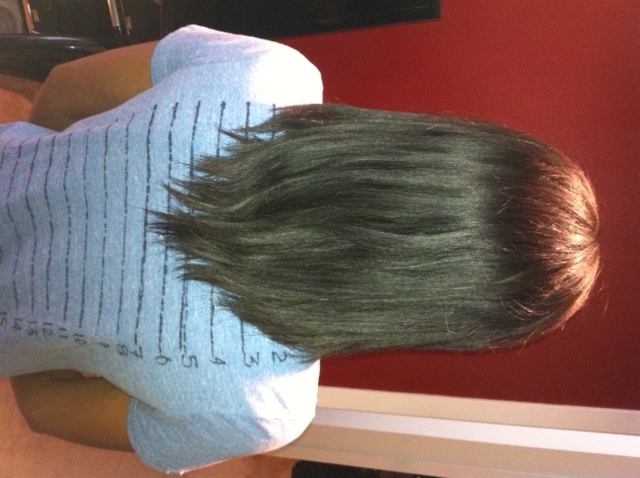 Since the beginning of my hair journey, I have worried about three things about myself: 1) hair; 2) skin and 3) weight. At no point and time since January have I felt that I had a handle on all three at one time. Until now. For instance, in January at the beginning of my hair journey, I did not want to work out because I went home and immediately M&S my hair … the care of my hair became the most important at that point. My skin was still breaking out a little bit, but not as bad as what was to come. April was when I was wearing my hair down a bit too much. I had some work travel going on and did not want people to see the nasty pimples that were camping out on my jawline. Hair was not taken care of as much, but I did start to work out again. May was just like April, but with the acne slowly but surely disappearing due to chemical peel results. 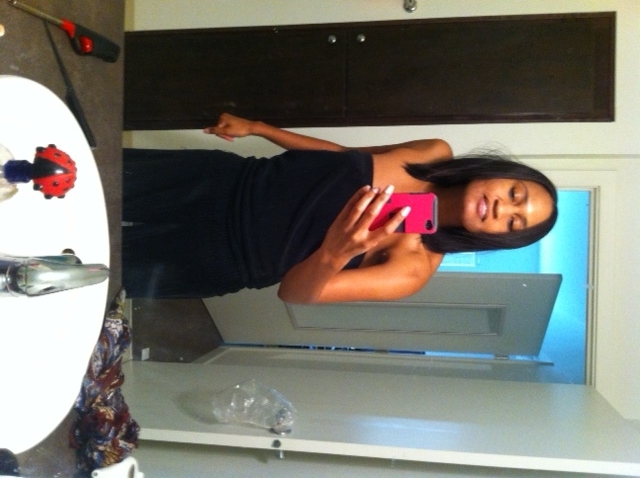 And June was when I started leaving the house without makeup again (but with tinted moisturizer), started my heat break and continued my work out regimen. And now it’s July. My skin is clearer than it has been in almost a year (sans a few spots I am clearing up). My aesthetician from my first few chemical peels marveled at the change in my skin and its texture! Also, my hair is in pretty good health and yesterday, I got back into my size 4 red palazzo pants … and there is room to spare in them. I have not worn those pants comfortably in 3 years! I also weighed myself on Friday and I am down to 131! Woo-hoo! I have not been this confident, happy and in control in a long time!!!!!!!!!! It’s a great feeling and I hope that everyone gets to feel this at some point and time! An Inch for Your Thoughts Follow Up: Alicia Keys cuts her hair! Last week I walked down memory lane by discussing the impact Alicia Keys had on me back in 2001. Well, lo and behold, Huffington Post reported this morning that Alicia Keys has cut her hair! 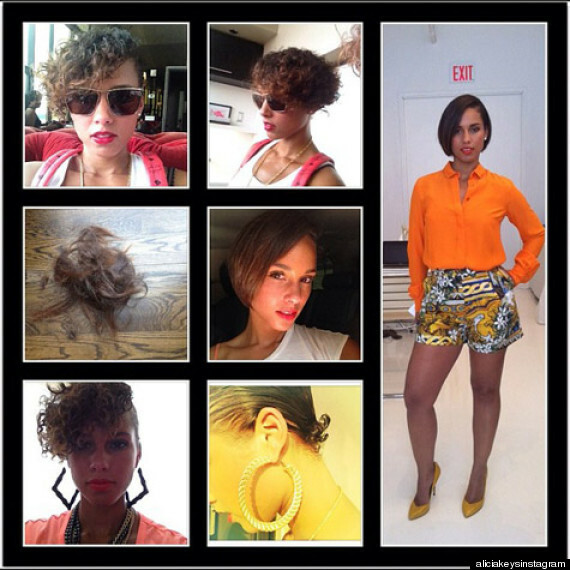 These photos are from Alicia Keys’ Instagram account. So what do you think? I think it makes her look younger. Besides, it’s so hot in NYC right now I am sure I would want to do the same thing! Much love, Alicia! It’s beautiful, just as you are! Ever since reading another about blogger’s experience using silicones (aka ‘cones) and how it slowly broke her hair off, I have been on the lookout for them. I have checked the ingredients of most of my products, but I did not check the most important one … my daily moisturizer, the Alterna White Truffle Hair Elixir! I was putting a bit in my hair this morning and I read the label, thinking with my elitist mind “Nah, no ‘cones are going to be in here!” WRONG!!!!!!!!! Sinensis Extract, Cucumis Sativus Extract, Persea Gratissima Extract, Foeniculum Vulgare (Fennel) Seed Extract, Daucus Carota Sativa (Carrot) Root Extract, Persea Gratissima Extract, Hydrolyzed Rice Protein, Saccharomyces Lysate Extract, Corn Oligosaccharides, Glycine Soja (Soybean) Seed Peroxidase, Ganoderma Lucidum (Mushroom) Tyrosinase, Saccharomyces/Zinc Ferment, Superoxide Dismutase, Melanin Silanetriol, Saccharomyces/Copper Ferment, Copper Lysl Oxidase, Amino Acyl tRNA Synthetase, Acetyl Serine, Acetyl Methionine, Lentinus Edodes Tyrosinase, Retinyl Palmitate, Tocopheryl Acetate, Butylene Glycol, Sorbitan Oleate, Polyquaternium-10, Polysilicone-15, C12-13 Pareth-23, C12-13 Pareth-3, Acrylates/C10-30 Alkyl Acrylate Crosspolymer, Papain, Bromelain, Lactoferrin, Phytosphingosine, Phospholipids, Panthenol, Bisabolol, Disodium EDTA, Sodium Hydroxide, Ethylhexylglycerin, Phenoxyethanol, Potassium Sorbate, Parfum/Fragrance. To be honest, my heart fell for a second. I do not use sulfates (which are recommended to remove silicone buildup) and clarify only once a month. Could my hair slowly be suffocating from the usage of this silicone product? I ran and got my iPad to consult “The Science of Black Hair.” Turns out, the second ingredient, Divinyldimethicone/Dimethicone Copolymer, is a water-soluable silicone, meaning that it is easy to wash away with just water. WHEW! After last night’s trim and porosity testing, it is time to reassess my current regimen. 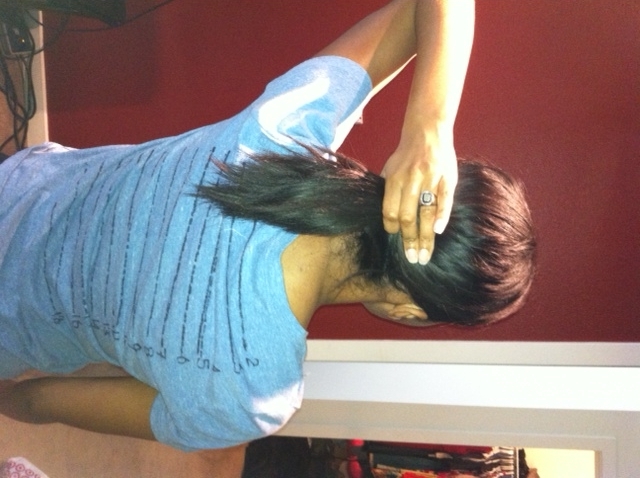 The ends of my hair have been so dry lately, despite me M&Sing daily … which is a classic sign of porosity issues! I have decided to incorporate Roux Porosity Control conditioner back into by regimen by using a bit in my steam treatment and as my final rinse to close the cuticle! I must say that I am a bit disappointed because I thought that hair did not have porosity issues. That is why is so important to listen to your hair, continue monitoring it and readjusting regimens to your hair’s needs! Here is some excellent information by Audrey Davis-Sivasothy on hair porosity. Also, I think I trimmed a bit much off in certain sections. I had Nathan measure my length and it seemed similar to the measurements he took last week, but I did see some pieces on the ground that were at least an inch! It’s all good, though. 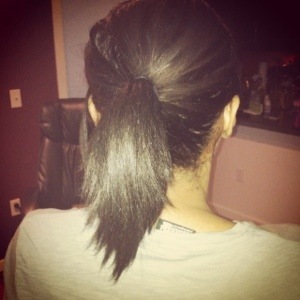 I am going to readjust my goals for my relaxer. 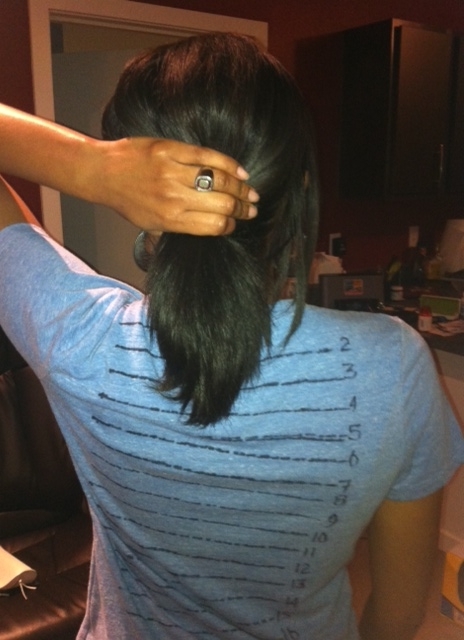 I hope to be at 6.5 on my length check shirt (instead of the original goal of 7). For some reason, I feel like I have been stuck at the same APL length for the past 4 months. I am just ready to hit that 7 in my longest layer … not sure when that will happen, but hey, my hair surprises me sometimes! I am impressed with the thickness of my hair, though! 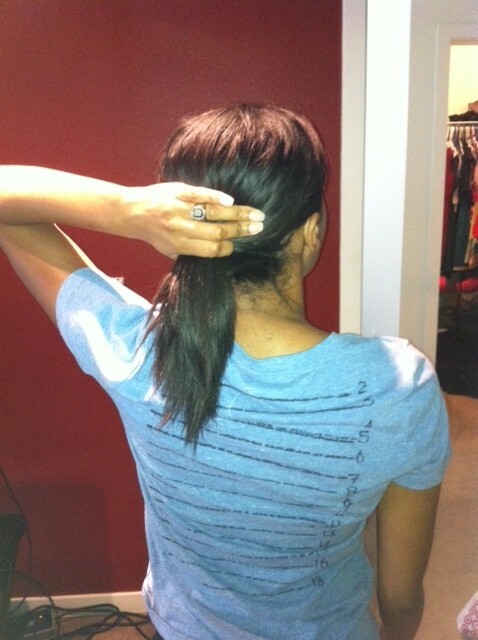 It often looks that way when it is air dried … the real test will be how it looks after I get a relaxer in 4 weeks! A much needed dusting and porous ends! I was M&Sing my hair today when I noticed my ends were dry and coming off in my hand. This was in addition to a bunch of shedding (I think a black tea rinse is in order this weekend!). I am wondering if the summer weather has anything to do with it?!?!? Anyhoo … I felt it necessary to dust my ends. I have been protective styling like mad for the last few months, but unfortunately, past heat use and time warranted their removal. Man I love dusting! I took very little length off but the difference was amazing!!! My hair looks so much better! 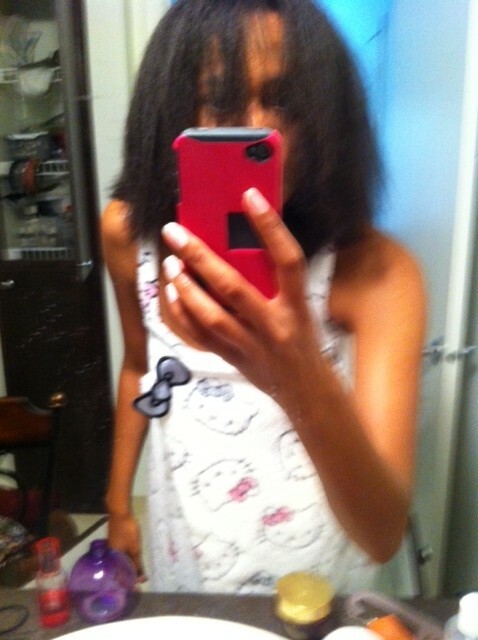 I have been testing my hair porosity since February. 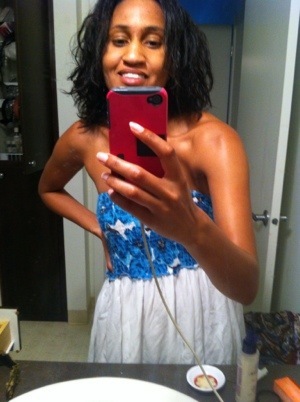 When I take harvested shed hair, my hair is low to medium porosity. After my dusting, I decided to take some ends that I found on the ground and test them. They sunk immediately. Its back to Roux Porosity Control conditioner for me! I will incorporate it back it to regimen starting with tomorrow’s co-wash and protein treatment. An Inch for Your Thoughts #7: Braids are back and a blast from the past! Huffington Post proudly proclaimed that Beyonce has brought braids back and showed a picture of her from 2001 with the “Alicia Keys” cornrows! Beyonce was wearing box braids at Nas’s album release party, which prompted the article. The picture from 2001 stirred up a lot of memories for me! I remember when Alicia Keys bust onto the scene with “Songs in A Minor!” She had the most intricate designs (see below). Well, that same fall I thought that it would be a great idea to bleach my whole head blond with the African Pride highlighting kit. I had some pretty highlights, but I wanted my hair to be ultra blond (heaven help me … ), so I skipped school, trekked to Walmart and bought the kit. I did it and when I finished it looked like a haystack. I was very disappointed. I went to sleep hoping that when I woke up, my hair would be back to normal. No such luck. I went back to Walmart and dyed my hair jet black and decided to wear it in cornrows to foster it back to health. My cousin Terrell proclaimed that I would be lucky if I woke up and the plaits weren’t on my pillows! 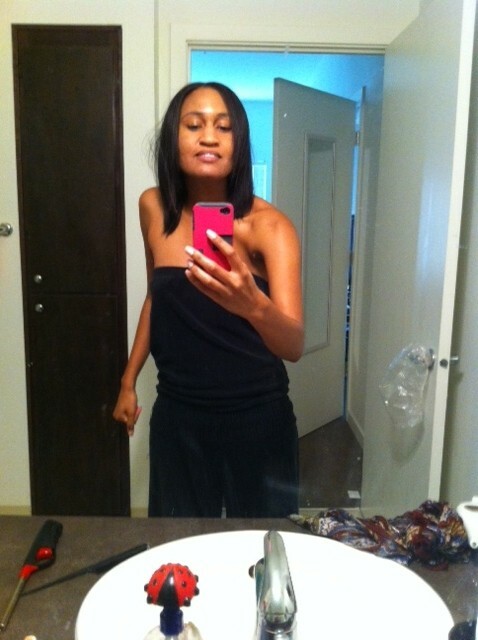 Anywho … I wore my hair like that for the winter then decided having a quick weave was a great idea. I wore my hair like that over the summer and then when I left for college, I had my hair cornrowed again … then I had weave for a few weeks. In early October 2002, a year after the ill-fated bleach job, I decided to wear my own hair (which was pretty healthy, surprisingly), which I had cut into my infamous bob and have worn my own hair ever since (sans a few times when I wore a half-wig for fun)! SCORE! 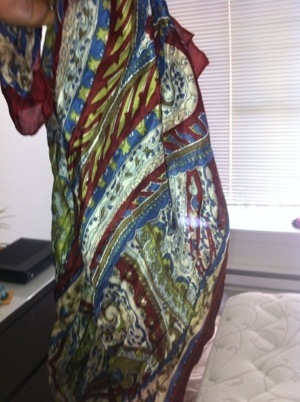 Silk scarf for $3.50!!! Sunday Nathan and I trekked to the mens’ store at Macy’s on the quest to find him some khaki shorts. The only ones he has had since high school finally tore so he needed more. While he was trying on clothes, there was a clearance bin of scarves that I was rummaging through. I picked one silk-feeling one up. I did not think that it was 100% silk, but some synthetic fiber(s) instead. I looked for the tag and sure enough, it said “100% silk!” The price tag was $9.99. However, being the great Macy’s shopper that I am, I headed right for the self-scan price check kiosk. I scanned it and it rang up $3.50! I was thrilled! Silk scarves are so pricey! The ones I have seen retail for over $30! I rushed back over to see how many more they had. Unfortunately, there was only one more in the same pattern … so I bought both of them for myself. I wanted to buy one for my mom, but I will look elsewhere! I have been using it the past two nights. 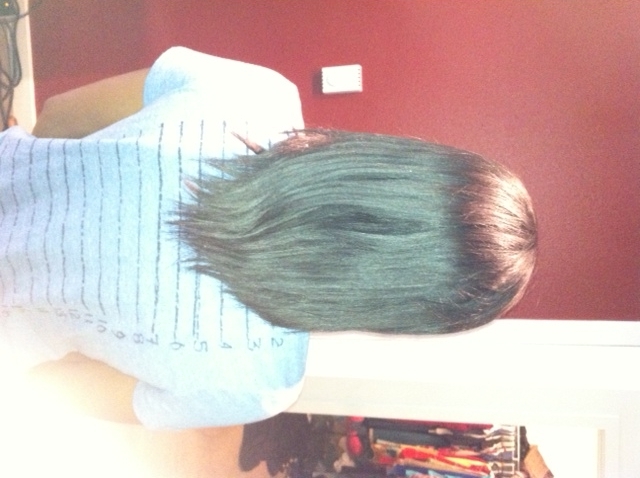 Last night, I M&Sed (no noticeable breakage … woo-hoo!) and tied my hair up with this silk scarf. I woke up and my hair felt so moisturized! I definitely like silk better than satin. I am going to see if I can find some more for my friends and mom. For $3.50, it’s too good to pass up!